Antiqued, Hammered Copper Necklace With Vintage Black And Goldstone Beads. Use in my business. Great value and fast shipping. Great quality and fast shipping. Thanks! 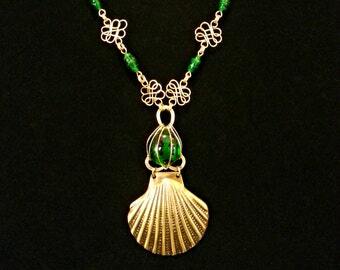 Solid Brass Wire-wrapped Scallop Shell Pendant. 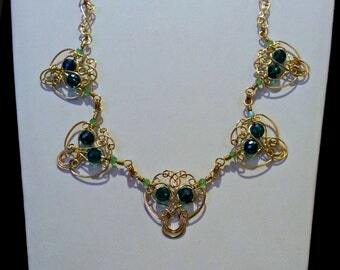 Accented with deep green vintage glass beads. 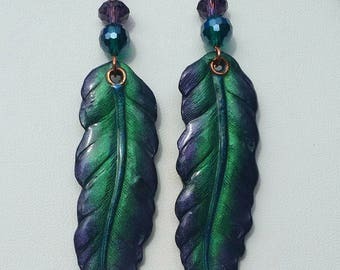 I started Mystic Metal Designs on Etsy to make it possible to reach out to the world with my one-of-a-kind designs. I am the sole designer and creator of each and every unique piece. 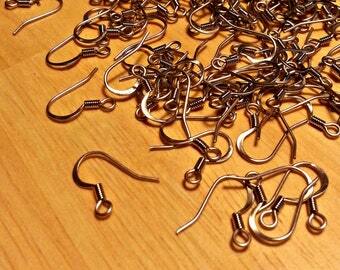 I make most of my own findings, including jump rings and clasps. I never know what a piece is going to turn out to be when I begin. 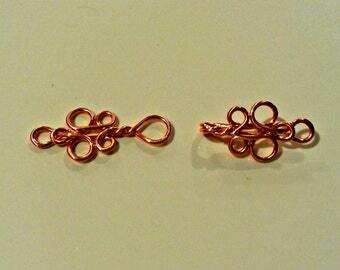 I just start bending wire and see where it leads me. What I think a piece is going to look like may not be at all what it turns out to be by the time I'm finished. 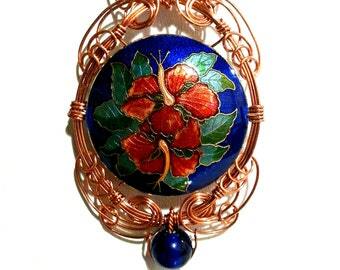 The end result is that the buyer is truly getting an original work of wearable art that is uniquely inspired. Welcome to all who enter the realm of MysticMetalDesigns. Content copyright 2011-2012. MYSTICMETALDESIGNS.COM. All rights reserved. All jewelry available is unique and individually handcrafted. Since they are not industrially manufactured they may contain small irregularities which are normal. If you are not pleased with your purchase for any reason, you can obtain a refund by mailing it back within 30 days of the purchase date. The refund does not include shipping and handling charges. You may also elect to exchange it for another selection of equal value once the original item has be returned. If you have purchased a supply item, and it is defective please let us know immediately upon receipt of your order. We will mail out a replacement for your order (shipping included) as soon as we receive the returned original order. 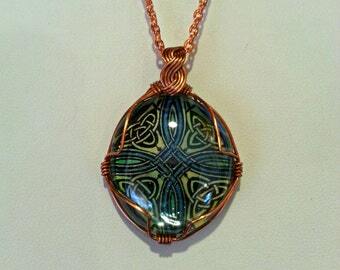 All payments are made through PayPal or Etsy direct checkout. You do not need a Paypal account to make a purchase through them using your credit card. Just click on the Paypal button and provide your credit card and address information. It's simple and convenient. We ship via USPS. If you require shipping via UPS please contact us to discuss this arrangement. It is our policy to try to ship all items within 1 -3 days of receipt of payment. Please note that buyers are responsible for any and all duties, customs charges, and tariffs that may be incurred. Check with your country's customs office to find out if there will be additional costs and what they will be before buying. It is our policy to never knowingly share your personal information with anyone. .